Our staff has carefully curated lists of activities so you can take advantage of everything The NASWA and the Lakes Region have to offer. Itineraries are designed for week-long stays, but feel free to customize based on the length of your stay with us! Day 1 – Start your stay with a relaxing afternoon at our private beach. There’s nothing better than having a tropical drink in your hand while the kids use their imaginations to battle it out in a sandcastle-making contest. Day 2 – Reserve one of our complimentary kayaks or paddle boats and enjoy the lake from the best view, right in it! Day 3 – Be sure to check out Tie-Dye Tuesday at the NazBar. This program is part of our Camp Naz program for kids. More information is available at the front desk. 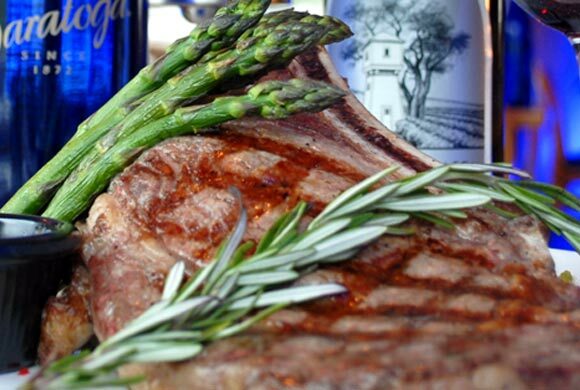 Day 4 – Visit the Blue Bistro for a breakfast everyone will love and then spend the day exploring the Lakes Region. You can find a whole list of fun nearby activities here. Day 5 – Tired from exploring the Lakes Region? You deserve a relaxing day! Let the kids play on the kayaks and paddleboats and indulge in a few hours of adult time. Cocktails and beach chairs are optional, but strongly recommended. Day 6 – Take a lake tour on our beautiful 34’ Sea Ray Amberjack NASWA boat. The Captain will take you out on a 45 minute boat trip on the SS NASWA during the months of July and August. Spots are limited so make sure you inquire at the time of check in for this complimentary tour. 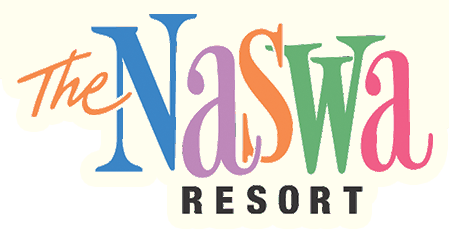 Day 7 – Don’t be sad it’s over, be glad you enjoyed such a great vacation at The NASWA Resort! Check out times vary, but you can still stay and enjoy our on-property amenities even after check out. 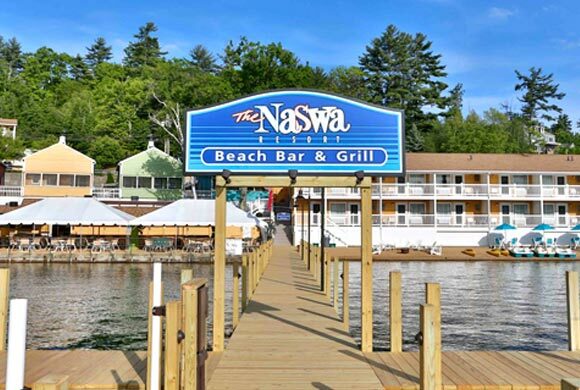 Have one last cocktail at our famous NazBar & Grill, swim a few final laps in the lake, or just enjoy the peace of mind that a stay at the lake can provide.